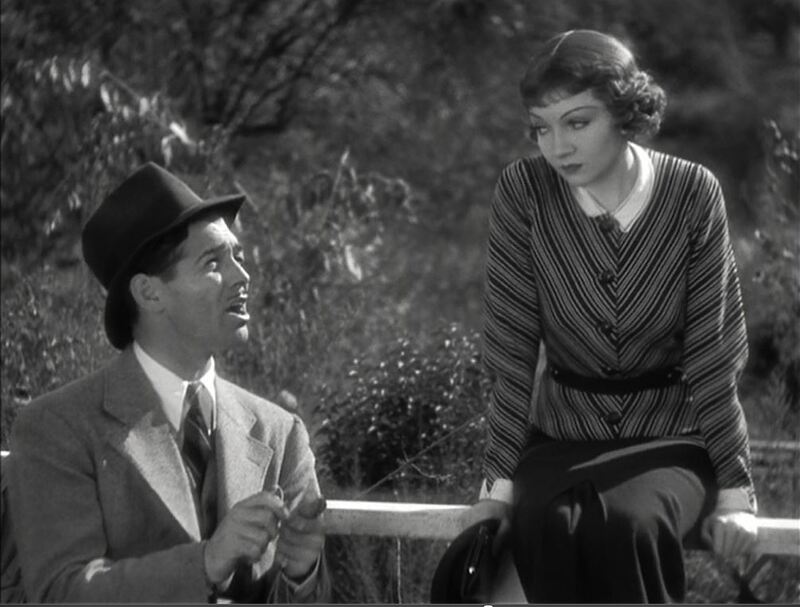 Frank Capra’s It Happened One Night opens with a rich father (Walter Connolly) and his spoiled adult daughter (Claudette Colbert) on a yacht somewhere south of Miami, Florida, attended to by a passel of servants. Ellie Andrews, the daughter, has recently eloped with the ridiculously named King Westley, and her father considers the marriage a sham. He wants the union annulled, assuring Ellie her new husband is only after her inheritance. She jumps overboard and swims for sure. Improbably, the servants are unable to catch her in their power skiff. Ellie sets off incognito on a bus for New York City to reunite with Westley. 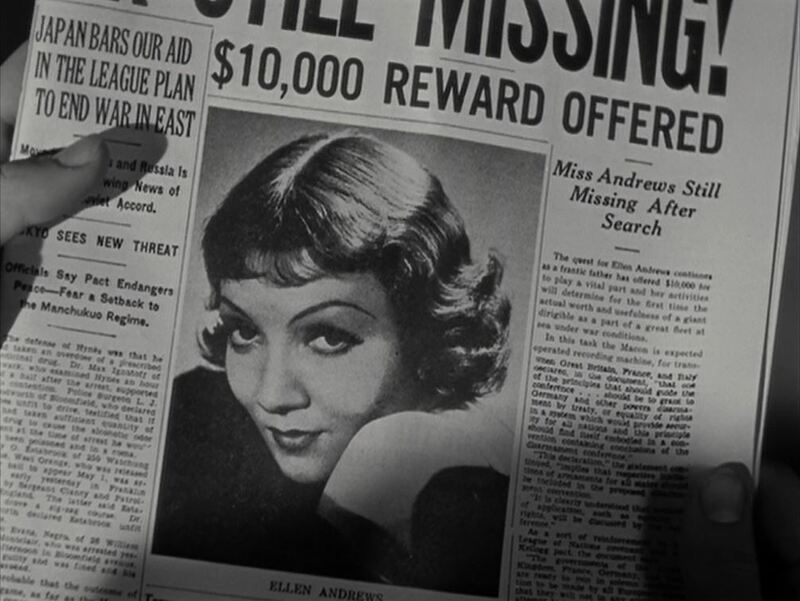 She’s recognized right away by recently fired newspaperman Peter Warne (Clark Gable), who sees the heiress’ escape as the news scoop of the year, and decides to tag along with her the whole way for the sake of a great story. He doesn’t let on he knows who she is, and they have little money between them to get to New York. Hijinks predictably ensue. Since this is a classic Hollywood comedy, they start off hating each other and, of course, end up in love. It Happened One Night is more a proto-screwball comedy than a true one. It came out in the no-man’s-land between the Pre-Code era of the early 1930s and the zenith of the screwball genre in the 1940s, and somehow managed to be more conservative and traditional then either. It released the very year Joseph Breen took over the Hays office and began rigidly enforcing the Hays Code that would govern decency in Hollywood films for the next three decades. In the brief sound era before 1934, comedies ran looser with their morals and freer with their interpretation of gender roles, to say the least. Arguably, no genre felt the creative restrictions of the Hays Code quite so sharply as comedy, and it was a half decade before the genre found its footing again (and figured out how to flaunt the Code without violating it) with the advent of true screwball comedies. 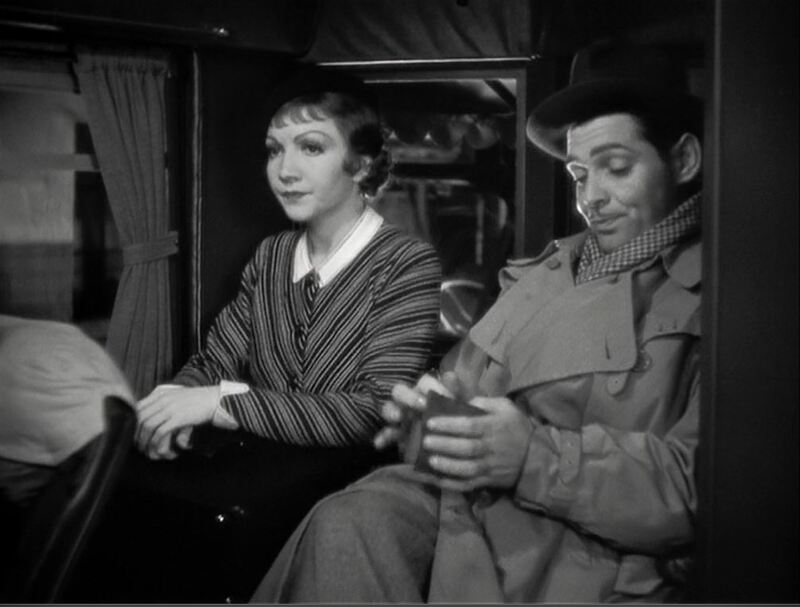 It Happened One Night fell in between these two periods, and while it contains many elements of the later screwball comedies that would follow it, it is more traditional and wholesome than most of them. Furthermore, It Happened One Night shares its era’s hypocritical pessimism about marriage. In a mid-century America that was supposedly a bastion of wholesome values and morals (it wasn’t: we can thank the Hays Code for that illusion), marriage is nowhere treated so breezily and cheaply as in the screen comedies of the 1930s-1950s. Here, as in countless other films, marriage is treated as a technicality, something easily discarded and exchanged, a business arrangement. Total disrespect and animosity between partners is played off affectionately as a sign two individuals really are meant for each other, and must truly be a married couple now. It’s laughable, and it was rampant during this era, perhaps nowhere more so than in It Happened One Night. Despite its flaws, It Happened One Night is a highly entertaining film, and we’ll be screening it as part of the Third Floor Film Series on Thursday, July 21, at 7:00 p.m. As always, GPL will provide free theater popcorn, candy, Jones Soda, and coffee, and I will lead a brief discussion of the film after the screening. We hope to see you there.